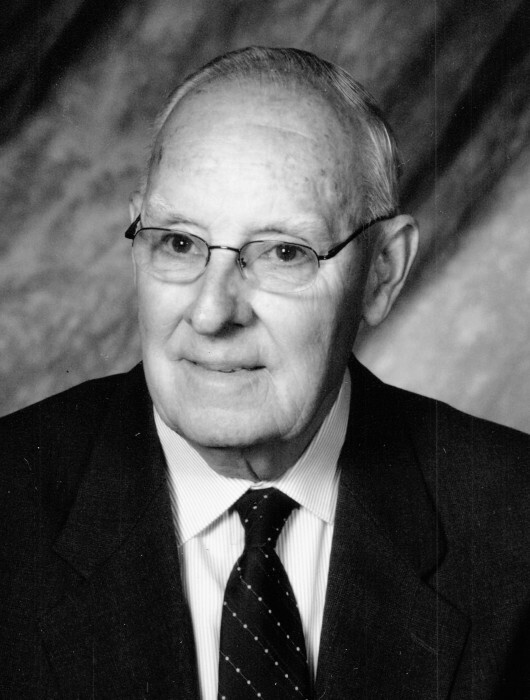 Paul J. Cunningham, 89, of Canton passed away peacefully on Wednesday, July 11, 2018 at the United Helpers Maplewood Nursing Home, where he was in the company of family and friends. Paul was born July 9, 1928 in Canton, the son of the late Andrew and Mary (Chapin) Cunningham. He graduated from Canton Schools and from Canton ATC where he studied accounting and business law. Paul worked in the automotive field until 1966 when he joined the staff at St. Lawrence National Bank in Canton. He was named assistant cashier in 1969 and was assigned to officer’s loan platform. He served in that capacity until November of 1983 when he was promoted to Assistant Vice-President and was named operations officer for consumer lending. In 1984, he was named manager of the Madrid branch and remained in that capacity until his retirement in November of 1988. Following his retirement, Paul continued to work part time for the bank and also for O’Leary Funeral Service, assisting with funerals and the former ambulette service. Paul worked as a volunteer for Canton-Potsdam Hospital. He was a past member of the Canton Club and the Lions Club and was an active member and communicant of St. Mary’s Catholic Church in Canton. Paul is survived by a nephew, Michael Cunningham of Canton. Awaiting him in heaven are his parents; a brother, James Cunningham and a niece, Deborah Cunningham-Smith. Mass of Christian Burial will be held on Monday, July 16, 2018 at 10:00 am at St. Mary’s Catholic Church, Court Street, Canton with Father Bryan Stitt, Pastor celebrating. Burial will follow in the St. Mary’s Cemetery, Canton. Contributions in his memory may be made to Hospice and Palliative Care of the St. Lawrence Valley; 6805 US Highway 11; Potsdam, New York 13676. Memories and condolences may be shared online at www.olearyfuneralservice.com. Arrangements for Mr. Paul J. Cunningham are under the care of the O’Leary Funeral Service of Canton.